Guess How Much I Love Winning? I have never, ever, ever, ever won anything. I’m not talking about for sports, because I had to work, a little, for those. I’m talking about those supermarket lucky draws, travel draws, the hundreds of Frankie magazine giveaways, etc. Zip, nada, zero. This changed in the most appropriate and wonderful way possible last Tuesday. It was not a great day for me and I was as cheerful as a baby breaking molars. 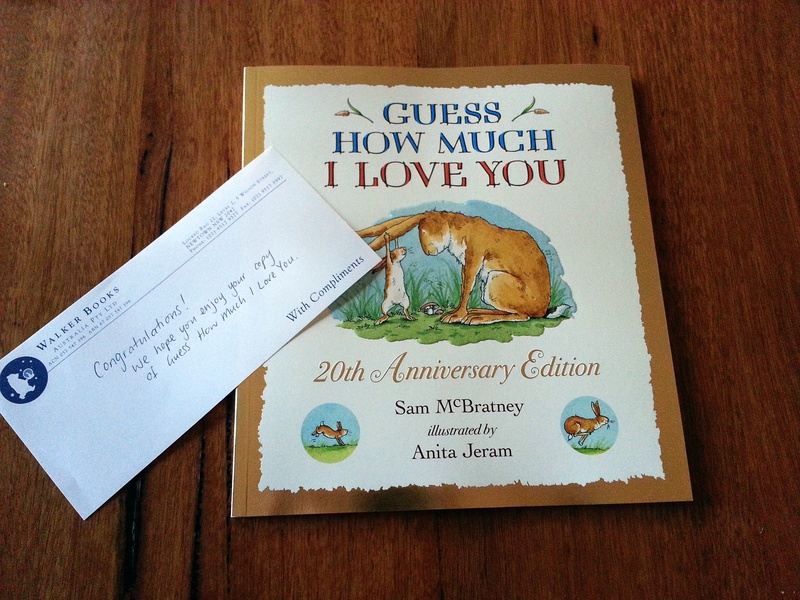 Then I received an email saying I’d won a 20th anniversary edition of Sam McBratney and Anita Jeram’s Guess How Much I Love You from Walker Books Australia. This was one of those competitions where you have to write something related to the prize. This one was to write 25 words about “Who you love to the moon and back”. Now I’d seen the tweet for this on February 11. I dithered about it until the weekend. Then finally I took about 10 minutes to write: A monkey. A drama queen. A wet kiss. An adorable cackle and guffaw. A marshmallow and chocolate nut. A performer. My four-year-old daughter, Iris. This is how excited I was. 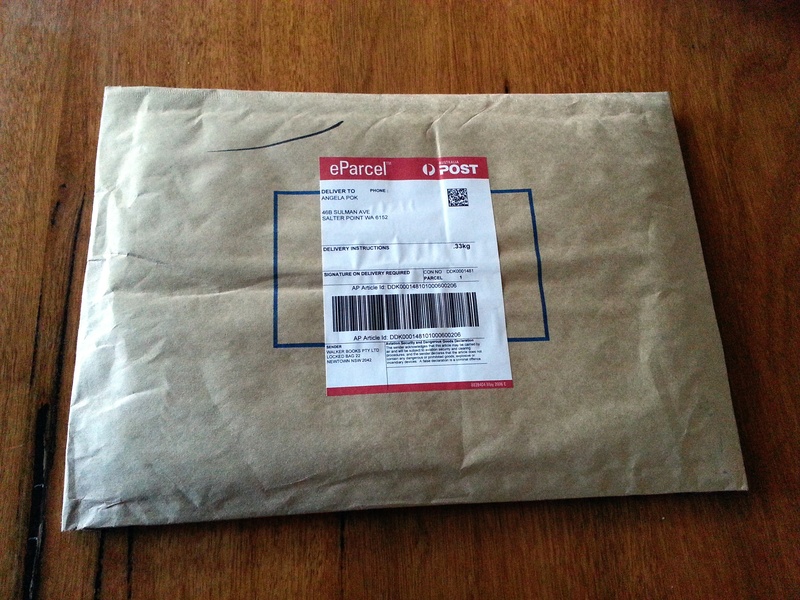 I took a photograph of an envelope. I absolutely did not expect to win. Particularly not on a day like the 17th of February, which is what made it all the better. I see it now as a special message from the Guy in charge to me. 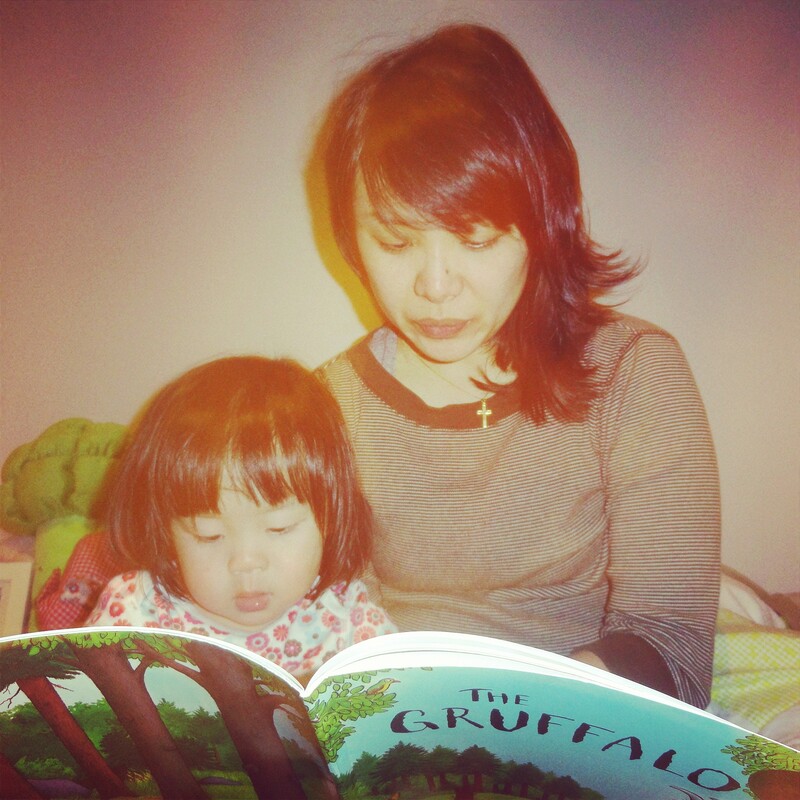 First published in 1994 and coming it at about 400 words, this timeless story pretty much encapsulates the most important and really the only thing we need to do as parents – let our kids know how much we love them. Jeram’s illustrations are so perfectly matched, they make you feel like you’re reading honey and warm milk. No review necessary. The title says everything, but to fully appreciate this book, you have to read it yourself. Much too often these days I notice how much Iris has grown up. I catch my breath and try and take a mental polaroid of each moment. Just like with her clothes, I’ve been passing on some of her baby books and have been trying to expand her listening skills by reading more wordy books. I forget that sometimes, she still needs those books that seem simpler with less words but with such a powerful message. Just as reading it will remind me how much God loves me, enough to send me a message when I’m feeling especially low, I hope that years from now, Iris will read this book and know that I love her right up to the moon and back. Do you LOVE this blog? Helen Oyeyemi's "Boy, Snow, Bird" was moderately disappointing and frustrating. I say that because there are worse books. It starts off fairly promising and Boy seems to be shaping up nicely. Once Bird is born, however, the first crack appears. Then it just goes downhill from there. Things are introduced and not gone back to or resolved; the plot limps along and flops completely at the end; the characters are not developed properly; and the ending is atrocious. The blurb is totally misleading and the meagre bits of magical realism are like sparks fizzling out in a lake of confused themes and pointless story arcs. One of the things I hate the most in books is for something to be introduced that seems to be important, only to be completely ignored after. Barely scrapes 3⭐ only because the writing is quite lyrical.